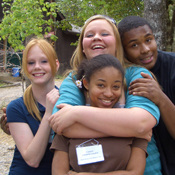 Empowering youth who have been in foster care is at the heart of the mission of Under One Sky Village Foundation. A nonprofit organization, the foundation links youth to a nurturing community of mentors and peers, supporting them in developing to their fullest potential. For information, contact Diane Delafield, Director by email at diane@under1sky.org or by phone at 828-645-1046. DOWNLOAD BRANDON'S SONG "THANK YOU"